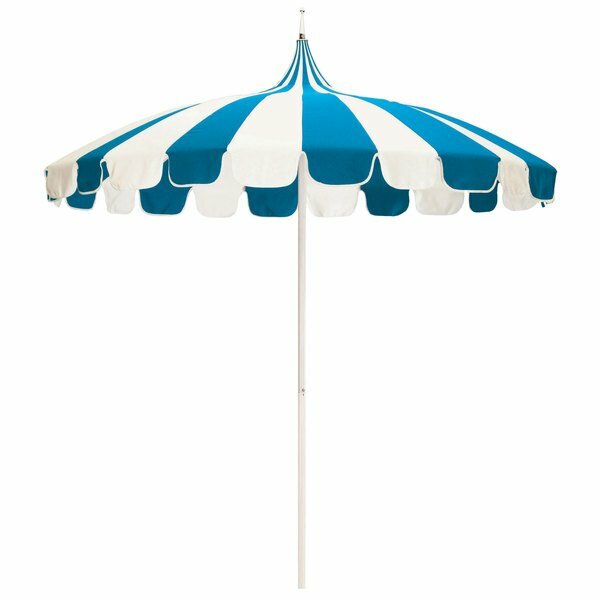 Keep your decks, outdoor dining areas, or pool-side patios shaded with this California Umbrella SMPT 852 SUNBRELLA 1 Pagoda 8 1/2' round push lift umbrella with 1 1/2" aluminum pole. With a fun, distinct, two-tone appearance, the Pagoda line will set your intimate outdoor eatery apart from the rest. This umbrella features a 1 1/2" thick aluminum pole for a robust foundation. Additionally, the durable steel wire ribs provide excellent support for the canopy, and help form the bold curves that create its distinguishing form.